Street protests over the closure of library services. 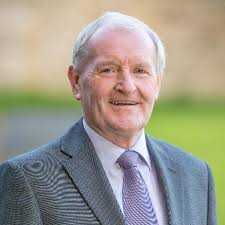 As Sligo County Council faces its worst ever financial crisis, a local TD has called on the Minister for Local Government to meet a deputation for early discussions on the emergency. 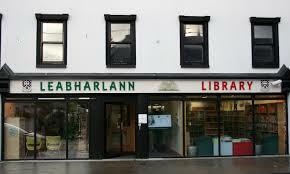 The move follows demonstrations in Sligo town earlier today when groups took to the streets to protest after the council had announced its financial situation left it with no option but to close the county’s library services. Now, Fine Gael Deputy Tony McLoughlin has stepped forward accusing the Department of Local Government of imposing an impossible financial plan on the heavily indebted body. 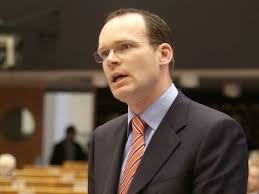 Coveney, McLoughlin said he wished to highlight his “deep concern” regarding the ongoing financial difficulties being faced by Sligo County Council management arising out of the requirements of a financial plan the minister’s department had thrust on the council. “I write in order to urgently highlight to you my deep concern regarding the ongoing financial difficulties being faced by Sligo County Council management due to the requirements of your Departments ‘Financial Plan’ with Sligo County Council. “Simon, I have a strong feeling that Co. Sligo has being given an impossible task of trying to cut its way back to economic prosperity and that the requirements demanded by your Department for Sligo County Council to continue to cut its staff, in particular has had a devastating effect on the functions of the Council and its ability to conduct its statutory obligations and implementation of Government policy. simply not achievable. Especially as now the local authorities are expected to do more implementation of national Government Policy and greater amounts of work for the community its serves. “As of today, staff reductions in Sligo County Council now stands at 37%. This is a reduction in 237 staff since the peak of 2008. “These reductions have left the Council in a critical state or paralysis and from my dealings with Sligo County Council on a daily basis, I can see that it simply can not take any more cuts or reductions to its staffing numbers, let alone continue to offer its current services at this level. If the Council is expected to reach this figure, as this ‘Financial Plan’ required, I fear as though they may as well close the doors on the majority of its remaining public services which it offers, as it simply can not continue in this way! “The ability for the Council to complete its 8 stages of required works on the now accelerated €100 Million ‘N4 Collooney to Castlebaldwin’ TII Scheme, which as you know will be the biggest capital investment in Sligo in modern times, I fear that this project could be delayed and that capital funding might be missed in 2017, along with many other public services and statutory duties which are being limited or not being conducted due to the serious reduction in staffing levels. “Whilst, I do understand the need for every Local Authority to be able to balance its books, I must highlight that after a very difficult period of cuts, re-organisation and technological efficiencies, the Council has now achieved this feat against the back drop of sluggish growth in the local economy together with many other local difficulties and I am pleased to be able to say that it is now returning an annual revenue surplus. The legendary mistakes of the past, which were responsible for the Councils large amount of debt, and which make Sligo’s financial problems so obvious, have now been rectified, and new process are in place to ensure that these large annual deficits which it was returning under previous managers cannot occur into the future. 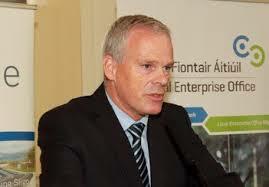 “However, achieving the financial requirements set down by your Department in the Financial Plan is seriously strangling Co. Sligo and its is limiting our opportunity to attempt to attract gains from the minimal recovery which is under way in the North West Region, and it is severely limiting our efforts to grow our way out of our financial predicament. As you are aware, in Sligo we do not have many large multinational industries paying high amounts of rates and we also have the highest amount of empty retail units in the country again in 2016. The economic recovery which is underway nationally is not as strong in Sligo. On this basis, I believe that special consideration should be given to Sligo as we now face even more uncertainty in the future due to Brexit and falling tourism numbers and an eventual loss of revenue. “I also question the purpose for the Government allowing larger urban County Councils, to have tens Millions of Euro in surplus in their bank accounts, while at the same time allowing Sligo and other rural County Councils to languish in debt and financial difficulties. The Irish citizen, who willingly pays their property tax in Co. Sligo, in my opinion, should be entitled to the same amount of public services as a person in Dublin, Cork or Galway who is paying the same property tax. “On the back of today’s announcement that Sligo County Council looks set to now close Co. Sligo’s, biggest and most central library service due to staff shortages, I believe that we have now reached breaking point with regard to this situation.